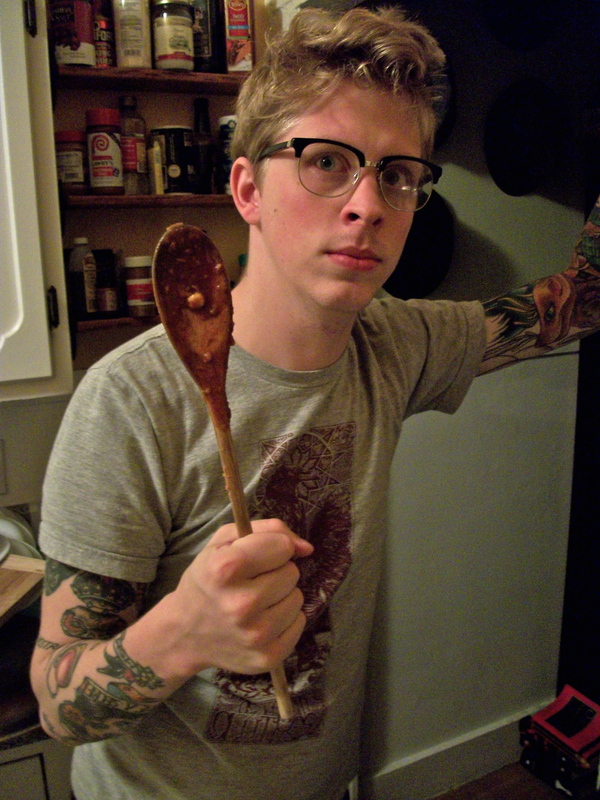 Josh and Andrea’s Chili Extravaganza! It’s the cozy time of year when my apartment is constantly drafty, forcing me into sweaters and under blankets. 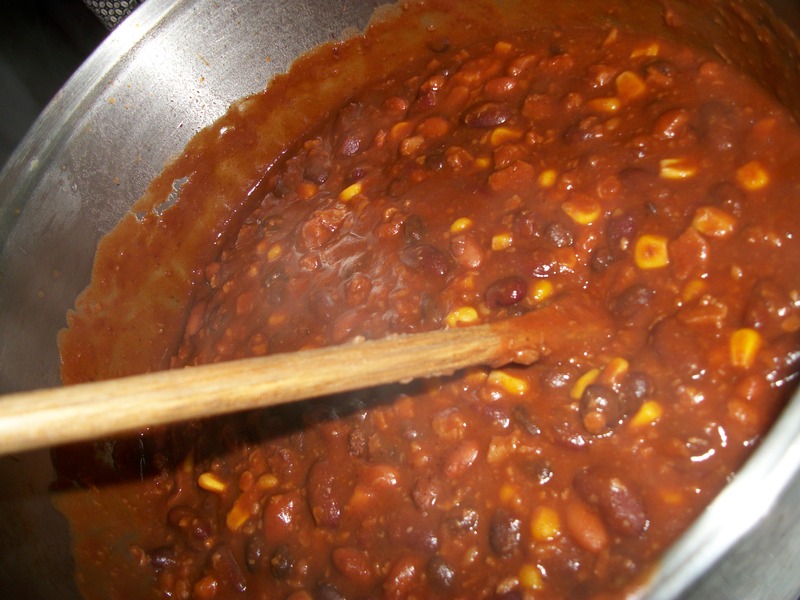 During winter, I love chunky stews and chilis. Josh and I made this one on a recent Sunday and then enjoyed it in bed while watching a movie. (Yeah, I said it. We ate chili in bed. We eat lots of things in bed because we live in an old building with poor insulation and a lousy heating system. Our bed is the warmest spot in the whole place!). 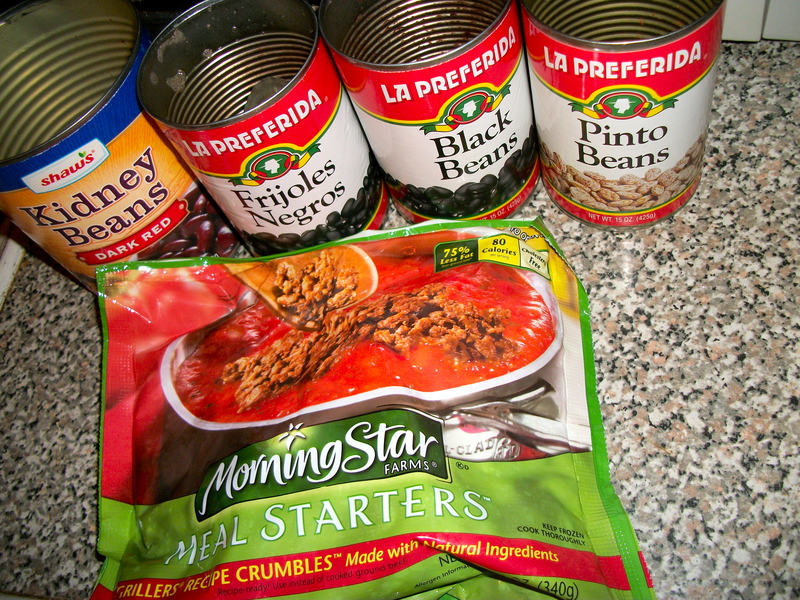 We put little thought into our ingredients – we put a different combination of beans and veggies in every time we make chili. This batch turned out quite delicious. As with all good chilis, throw all of these ingredients into a giant vat, mix, and stir occasionally while heating on low to medium. When heated through, enjoy! 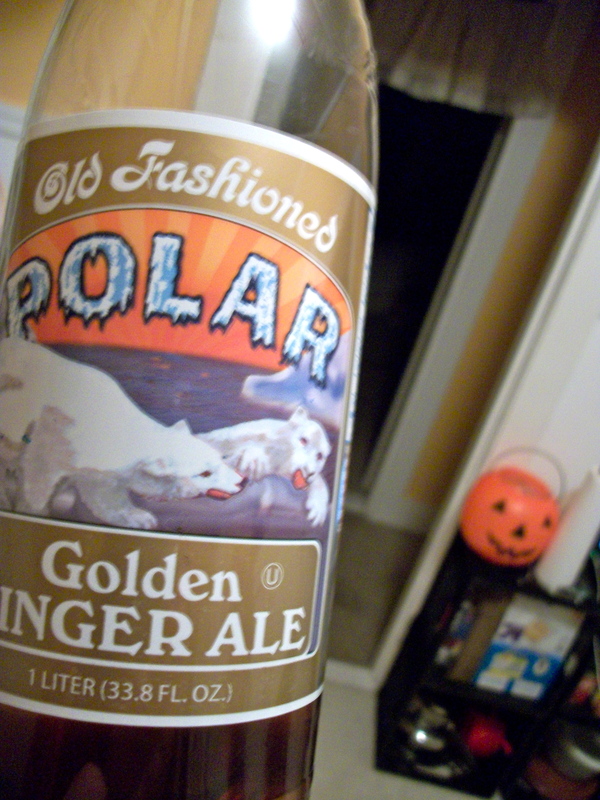 To accompany my chili, I was lured into purchasing a bottle of ginger-ale. An odd choice to accompany chili, I admit. However, I am terribly susceptible to animal-based advertising. The photo is terrible, sure. But have you ever seen such fierce creatures on any food product before!? You must understand why I had to try this soda!